The Blues seek to bounce back from being on the wrong end of a 7-goal thriller against Goa. NorthEast United FC take on Bengaluru FC in an Indian Super League match at the Indira Gandhi Athletic Stadium in Guwahati on Friday. After securing a crucial away win against Delhi Dynamos last Saturday, the home side is confident ahead of this encounter. 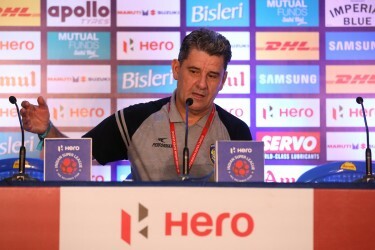 NEUFC boss Joao Carlos Pires De Deus would expect his players to give in their all against one of the best sides in the league. Clearly, success wouldn’t come cheaply for the hosts. Earlier, NEUFC drew their season opener at home against the newbies Jamshedpur FC before losing to Chennaiyin FC away. On the other side, table-toppers Bengaluru FC travel far east to make their position even stronger. 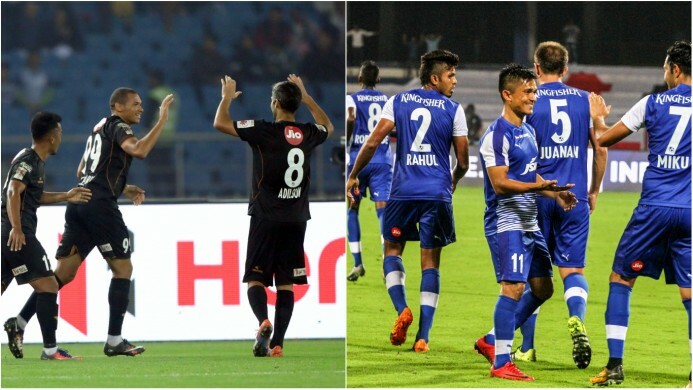 Albert Roca’s side tried to stitch a brave comeback in their last outing against FC Goa but ended up losing 4-3. With Miku and Erik Paartalu firing goals at ease, the Steelmen from the west coast will definitely like to make their first outing in Guwahati a memorable one. The match will also see an interesting clash of philosophies as it pits Portuguese against Spaniard. Here, The Highlanders' counter-attacking style of play, will go up against Roca's more patient approach that relies on possession and getting crosses into the box, with key roles for both wingers and full-backs. In their last game, Friday's hosts profited from Delhi's mistakes at the back, but in their league opener against Jamshedpur FC at home, when the onus was on them to force the pace, they failed to deliver. So, it will be interesting to see whether De Deus chooses to concede possession and sit back against the powerful Blues or take the game to them. Bengaluru, on the other hand, flexed their muscles against the Gaurs even after playing most of the game with 10 men. Barring any further such accidents, manager Roca will be confident of getting back on track with a win in Guwahati. The inclusion of midfield maestro Rowllin Borges after an injury layoff paid dividends in their last game in Delhi. They looked a much-improved side as compared to their first two games. Also, Assam boy Halicharan Narzary has become an indispensable part of the starting XI. There are currently no injuries in the Highlanders' camp and the manager has a full squad to pick from. The visiting side has been dealt a major blow after first-choice goalkeeper Gurpreet Singh Sandhu was slapped with a two-match ban for his violent conduct in the previous game. Backup shot-stopper Lalthuammawia Ralte has been brought in to replace the India international, with second choice Abhra Mondal nursing an injury. This is the first ever encounter between the two franchises in any competition. Marcinho- NorthEast United: The Brazilian attacking midfielder will once again look to help his team sail past a formidable Bengaluru storm and get the passionate Highlanders on their feet. The NEUFC #10 will look to utilize every ball fed into the box and earn his side the points. Miku-Bengaluru FC: This Venezuelan forward will once again look to partner the likes of skipper Sunil Chhetri and Erik Paartalu and continue his goalscoring spree. His tremendous physical strength and agility inside the opposition box make him a difficult customer for rival centre-halves. NorthEast United: Rehenesh, Nirmal, Goncalves, Sambinha, Robert, Rowllin, Marcinho, Adilson, Narzary, Danilo, Lalrindika. 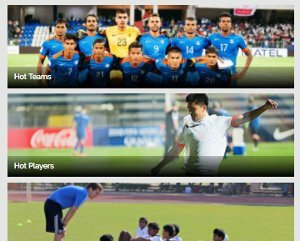 Bengaluru FC: Lalthuammawia Ralte, Bheke, Johnson, Juanan, Khabra; Edu, Paartalu, Rodrigues; Udanta, Chhetri, Miku. 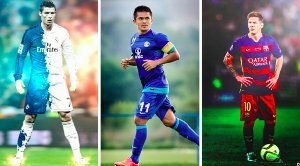 Bengaluru FC’s Zohmingliana Ralte, Boithang Haokip, Lalthuammawia Ralte and NEUFC’s Seiminlen Doungel, Malemngamba Meitei, Gursimrat Singh Gill will all face their former clubs. Bengaluru FC’s Nicolas Ladislao Fedor Flores (or Miku) was named La Liga’s Player of the Month for February 2016 during his stint with Rayo Vallecano. NEUFC is the first ISL team to have residential football school facilities with an aim to upgrade grassroots level football. The match will be broadcasted live on Star Sports 2 and Star Sports 2 HD from 7:45 pm onwards. 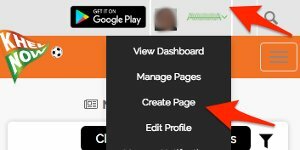 It will also be available for live streaming on Hotstar and Jio TV.